Check out Tori Wallace's new post, Sticky Note Forest a very well-written and creative piece which she wrote for her blog, (Thoughts from Hazel). 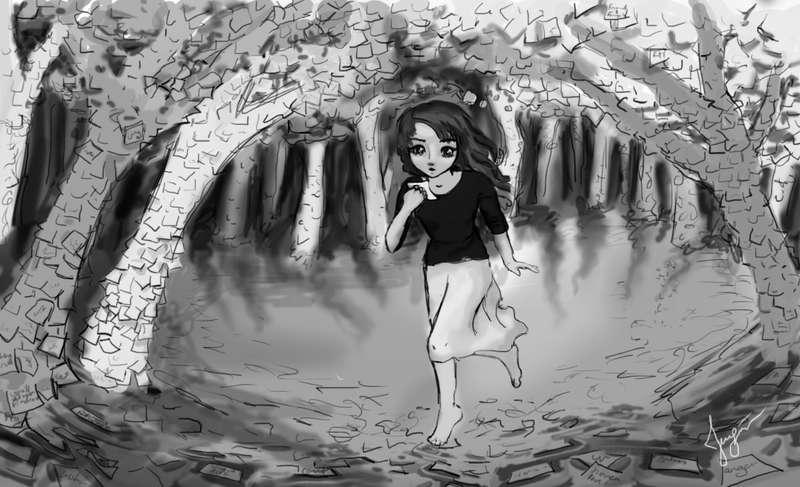 She requested a simple, black-and-white, anime-style sketch. It was fun to do! :) You can also find it on the Art, Logos and Design page on this blog.